Published in 1961, the book was written at a time when American cities were beset with massive redevelopment projects. 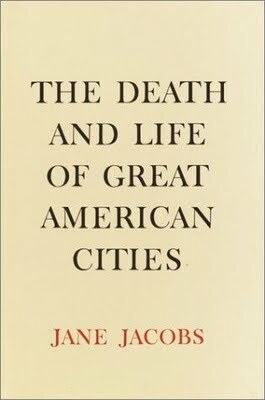 The Death and Life of Great American Cities is Jane Jacobs’s take on what makes cities work and much of it is a critique of modern planning theory. Jacobs hopes to convince her audience that many of the ongoing urban renewal programmes were in effect causing more harm than good. She explains “why the wrong areas are decaying and the wrong areas are refusing to decay”. “Decay” is implicitly defined as the weakening of a city’s magnetic powers, manifested in symptoms like exodus from downtowns, abandoned housing projects and higher urban crime. Her methodology is simple observation. Jacobs was the editor of an Architectural magazine; she was no planning expert but had watched and walked her neighborhood. 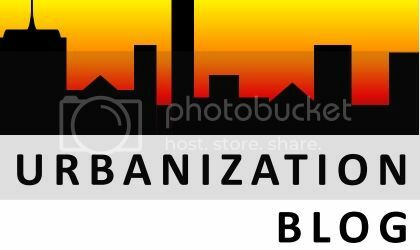 She begins with an attack on orthodox city planning theory which rests on the shoulders of Ebenezer Howard, Lewis Mumford, Le Corbusier, Daniel Burnham etc. The book is divided into four parts. In Part One, she makes her principle argument that cities need diversity of uses. She then goes on to describe four features of city design that generate this diversity. Part Three follows with a discussion on the forces of decline and regeneration. The last part makes recommendations in specific policy areas including housing, transport, finance and governance. In Jacobs’s conceptualization of the city, cities are problems of “organized complexity”. Planning them involves several interrelated variables. This is in fact the bone of contention between Jacobs and orthodox planners. To Jacobs’s utter dismay, orthodox planners tend to segregate city areas based on functions. The Lincoln Square Project for Performing Arts in New York was a living example of this form of “decontaminated sorting” as it aimed to shift out key cultural centres like the Carnegie Hall into a designated cultural district/zone. The penchant of orthodox planners for imposing order by sorting city uses can also explain why so many beautiful parks of America remained underused and hence prone to crime. To build promenades with promenaders and facilitate use of parks throughout the day, Jacobs advocates that parks be surrounded by a mixture of offices, residences and lively streets. She attributes the unpopularity of many parks to “border vaccums” i.e. those bordering neighbours (expressways, railroads, waterfronts) that form barriers or vaccums of use for potential park visitors. The running theme in the book is that cities need to cultivate diversity if they want to be successful. Public safety, thriving commerce and social inclusion are some of Jacobs’s parameters to measure a city’s success. Her solution for public safety is pretty simple – have more people on the street because a busy sidewalk has an in-built surveillance system. To ensure that a space is being used fairly continuously (even at night), sidewalks should be sprinkled with a substantial quantity of stores, bars, restaurants and other public spaces. While isolated streets are more prone to crime, they are also a breeding ground for economic stagnation. Like parks and sidewalks, stores too need users. Restaurants in a commercial district cannot go hungry for customers at dinner time. Thus Jacobs’s mantra for successful city planning is to ensure that different people with different purposes use the same spaces at different times of the day. She prescribes four conditions which in combination with each other are absolutely critical to generate such diversity: (a) Mixed land use to facilitate a temporal spread of people (b) Smaller blocks (more corners) to promote more frequent and cross use of the streets (c) A mix of new and aged buildings as they differ in economic yield to sustain a variety of users (d) Sufficient concentration of people to boost economic activity, sidewalk safety and to lend volume to the district’s political voice. In the realm of slums and affordable housing projects, Jacobs denounces urban renewal programmes for not respecting the forces of regeneration within slums themselves. Slums have the potential to unslum as demonstrated by the North End in Boston, Back-of-the Yards in Chicago and North Beach in San Francisco. Instead of creating an enabling environment, urban renewal programmes run the risk of destroying the economic and social capital accumulated over the years. Further, affordable housing projects (that would probably appear in the redeveloped avatar of the slum) destroy diversity by imposing segregation based on income. In Jacobs’s affordable housing “rent-guarantee” model, the government’s role does not encroach onto the construction process; it is confined to subsidizing that portion of the rent which is unaffordable by the tenant. “The forms in which money is used and withheld from use are powerful instruments of city decline”. Jacobs advocates gradual/piecemeal release of money to prevent cataclysmic changes in the cityscape. A drought of finance deprives those of money who need it the most; she calls credit-blacklisting maps not facts but “self-fulfilling prophecies”. On the other end, floods of finance are also planning sins albeit committed unwittingly. Over $300 million of public housing aid was poured into East Harlem to house the poor; it ended up evicting most of the unslumming population by destroying over 1300 businesses and 500 noncommercial establishments. Her message for traffic management is to encourage public transport and discourage automobiles. In 1961, her concern was not to cut down carbon emissions but to eliminate such vacuous spaces that fragmented the pedestrian experience. To make cities more compact and walk-able, she recommends that the design of cities be manipulated (rather than negative sanctions) to frustrate car use. This can be done for example by reducing the size of blocks to increase intersectional crossings. Recognizing the importance of trucks and buses, she advocates selective vehicular encouragement. In planning and governance of cities, Jacobs recommends that a city be divided into administrative districts. The size of such a district would vary but roughly speaking, it would be 1.5 square miles in area with a population ranging from 50,000-200,000. Functional division of responsibilities should be at a smaller scale instead of at the top such as in a Planning Commission. Horizontal organization of administration would enable planners to have first-hand knowledge of their subject, meet the needs of specific and unique localities and encourage transparency and accountability while correcting problems of fragmented information, fragmented responsibility and fragmented authority. A lot of Jacobs’s ideas have now been absorbed into the “New Urbanism” design movement which germinated in America in the 1980s. The book is definitely a recommended reading as long as the reader has the patience for Jacobs’s distracted writing style. A few parts of the book are weak; her rationale for diversity in cities sometimes turns into an obsession. Nonetheless, she makes several valuable points, quite revolutionary for her time. She rightly delinks urban crime from slums and minority areas. Moreover she treats problems of cities as processes and not objects frozen in time. The best thing about the book is that it makes one want to walk and study the city by watching rather than reading.